The New Year is a time for reflection, so it was heartening to see Goldman Sachs come out with 63 pages of resolutions. The investment bank published its “Report of the Business Standards Committee” last week, a document in which it reiterated its principles and announced the formation of many new committees. Goldman will be an open book, the firm pledges, disclosing more clearly how much business the firm does for itself (not as much as all those detractors think) and how much it works for its clients (every waking moment). It’s language that “reads straight out of a Tony Robbins retreat manual, not your usual business document,” said Christine B. Whelan, a University of Pittsburgh sociologist who has studied the self-help industry. Of course, releasing the report is a public relations stunt. Some of it was welcome, like the increased financial disclosure. Some may fall by the wayside, like most New Year’s resolutions. Some seems as disingenuous as any piece of professional flackery. Goldman’s effort fits neatly into what the historian (and former New York councilwoman) Eva S. Moskowitz has called the therapeutic gospel, a doctrine so ingrained in American society that few of us consciously recognize it. The gospel consists of three tenets: Happiness is the supreme goal, problems stem from psychological causes, and those psychological problems are treatable. The therapeutic gospel is all about me and my problems. Goldman thinks its problems stem, if not from psychological issues, then from attitudinal ones. Significant management and operational changes are starkly missing from Goldman’s leaf-turning exercise. Instead, Goldman has decided that its troubles emanate from not having treated clients nicely. Or, more likely, Goldman thinks its problem is that the world thinks Goldman didn’t treat its clients nicely. But that wasn’t the problem with Goldman Sachs in the fall of 2008. Creating collateralized debt obligations and betting against their clients was unseemly, but it wasn’t the cause of the global financial crisis. Goldman’s leverage — and the leverage at other major financial institutions — was the real issue. Goldman’s business model was broken because it made a classic banking mistake: It lent long and borrowed short. All banks are susceptible to runs. Bear Stearns and Lehman Brothers had theirs, deservedly. By the fall of 2008, it was Morgan Stanley and Goldman Sachs’s turn. Goldman took taxpayer dollars and was granted access to cheap Federal Reserve money. Goldman insists that it would have survived the crisis anyway. We’ll never know whether it would have, because the fact is that Goldman received assistance. Goldman, like all the other major investment and commercial banks, had become too big and intertwined, making the financial system too fragile. In other words, the flaws in the financial system were structural, more like the problem of poverty and not based on character. As such, they require solutions beyond pledges of better behavior. Unfortunately, despite a hulking financial reform law, the American financial system still has largely the same structural issues that it had before the crisis. 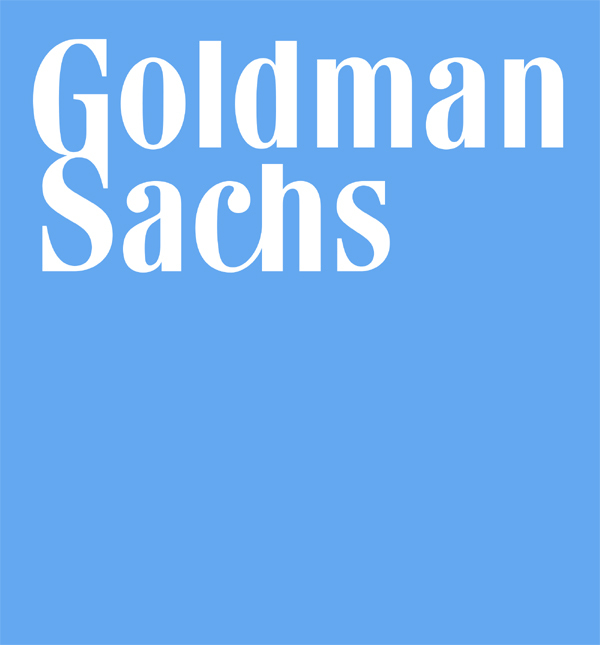 Neither Goldman nor the government shows any inclination to face these issues. What about investors? Despite Goldman’s reputation in some corners as Evil Genius, its shares are actually suffering in the marketplace because investors worry about its volatile and unpredictable results from quarter to quarter. These concerns were validated when Goldman reported Wednesday that trading and securities services profit took a big hit in the fourth quarter, dropping 31 percent. The stock slid 3 percent by mid-afternoon in response. Investors prefer annuities to swing-for-the-fences profits. Compared with pure asset managers and investment banks that specialize in either advisory work or making markets, Goldman stock trades at a discount these days. Goldman’s price-to-earnings ratio stands at less than 10, while Lazard (a pure advisory firm), Jefferies (a market maker) and BlackRock (an asset manager) trade at significantly higher multiples. Investors often prefer to look at a price-to-book ratio to value financial firms; even on that measure, Goldman is far below its peak valuation. Could there be an argument that Goldman should break up into three smaller, more focused companies? It would be better for the financial system, and just might lead to the self-improvement that Goldman is searching for. Intel’s Annual Meeting: What Would Gordon Gekko Say?